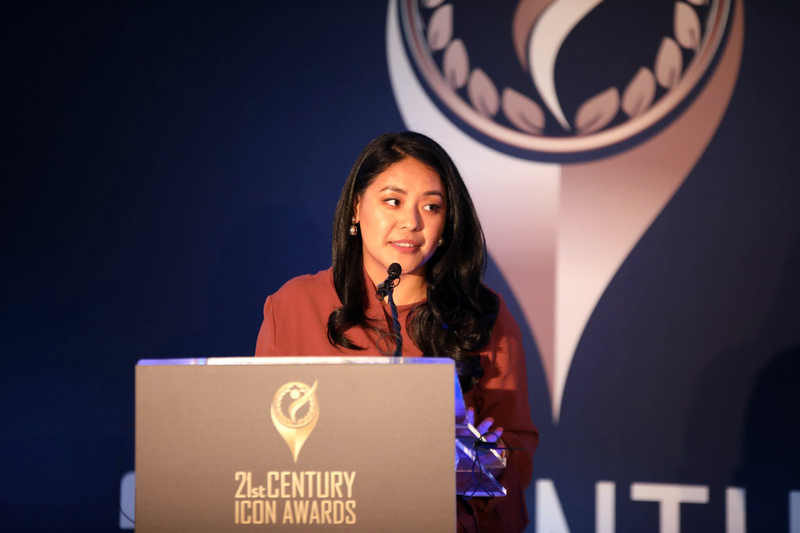 (TibetanReview.net, Oct02, 2018) – A US-based Tibetan woman is one of the 23 winners of the 21st Century Icon Awards for 2018 instituted by a UK-based company with support from the London Stock Exchange Group ELITE. The presentation of the award took place at a Gala Dinner in London on Sep 21. San Francisco-resident Tenzin Seldon has won the award in the category of Generous Philanthropist Award for her work and commitment on the Earth’s Call Foundation and refugees with Kinstep. The award, instituted by Squared Watermelon, founded by two ethnic Indians, honours Next Generation of Inheritors, to Celebrate Success of the Next Generation by helping dynamic entrepreneurs and successful individuals to keep growing and competing on the world stage. Around 300 celebrities, business Leaders, movie stars, champions, thought leaders and politicians were reported to have gathered to witness the award ceremony. The 23 winners were said to have been selected from over 400 nominations from 20 countries. A statement on the award from the Office of Tibet, Washington, DC, of the Central Tibetan Administration, posted on Tibet.net Oct 1 says Tenzin Seldon was the first Tibetan American Rhodes scholar and winner of 30 under 30 FORBES magazine, 2017.